Most of the time, smash repairs are needed because a vehicle has been in an accident. In addition to the serious physical injury that can come from a vehicle collision, there is a lot of shock and stress involved. H&M Malaga Smash Repairs are fully accredited BMW repairers. 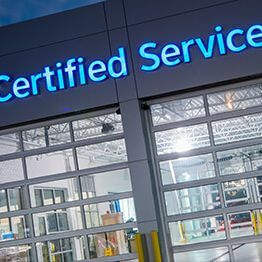 Each of our technicians is committed to achieving the most outstanding results for BMW collision repair – maintaining constantly up-to-date knowledge of BMW technology and factory training. 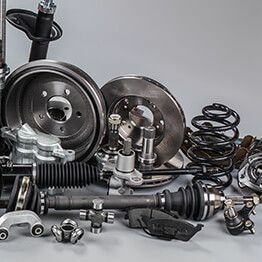 Your call to H&M Malaga Smash Repairs will be answered by a trained professional who will take down your details and arrange to collect your vehicle if it is unable to be driven. The tow truck will collect your vehicle and bring it to us. From here we can help you arrange an insurance assessment and assist you with getting your claim under way. Welcome to H&M Malaga Smash Repairs. 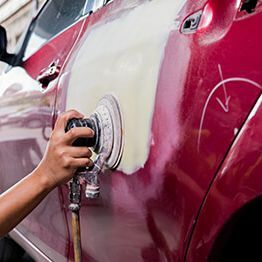 If your vehicle needs body work, panel beating or painting, you've come to the right place. We have provided Perth with top-level smash repair since opening our Malaga workshop in 2005. With our smooth process, excellent service and partnerships with all reputable insurance providers, we are the one-stop solution for all your vehicle repair, painting and detailing needs. We aim to provide the highest level of service possible to our clients, in what can be a very difficult time – going through the trauma of a motor vehicle accident. The last thing you need to worry about is the quality of the repairs to your car. From scratches and little dents to frame and panel damage, we can fix any problem large or small. Don't stress. By the time we hand your vehicle back to you, it will be exactly as it was before the accident. Leave it with us and we'll take care of the rest. Meet our team and see what's in our workshop here. We offer award-winning service above and beyond most smash repairers. In fact, we were voted Best Small Panel Shop Of The Year twice! We consistently work to the highest standard, and never compromise on the quality of workmanship or materials we use. Come to us for the best. Don't see the service you're looking for? Check out this page or call us to make a direct enquiry. 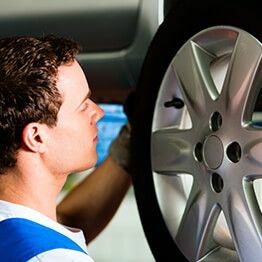 We service every type of vehicle: all years, makes and models of cars, 4WDs, vans and light trucks. Whether you need collision repair work such as panel beating and painting, or aftercare services such as window tinting, rim refurbishment and detailing, H&M Malaga Smash Repairs is the only place to call. Our team are seasoned experts in commercial vehicle repairs and we have outstanding fleet work capabilities. From delivery vans to taxi cabs, we can keep your fleet looking its absolute best. The service I received was friendly, courteous and above all efficient. I was advised as to what was happening at each step of the way and my car was repaired and ready exactly as promised. It is a refreshing change to receive service of this high calibre and I will be advising my insurers of the excellent service I experienced. I want to thank you for the wonderful repair to my car and to say how professional and courteous your staff have been. I hope the occasion doesn't arise but I would certainly contact you should it be necessary. One word, excellent! The whole episode was eased with your professional service, updates and obviously the actual repair. My van was returned when you said it would be, it had been cleaned and everything was as it was meant to be. Thanks and you will be used again... although hopefully not too soon! My car looks brilliant, perhaps better than it was before the accident! It is a refreshing change to receive service of this high calibre.